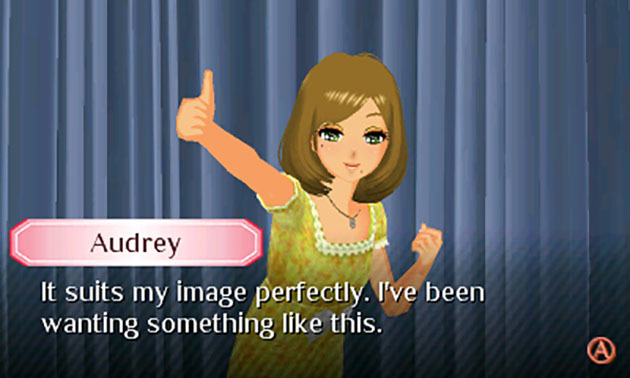 When I first played Style Savvy: Fashion Forward on the Nintendo 3DS a couple of years ago, I didn&apos;t know what to expect. I&apos;ve never cared much for fashion or clothes, so I wasn&apos;t counting on getting addicted to a game about being a personal stylist. Oh, how wrong I was. 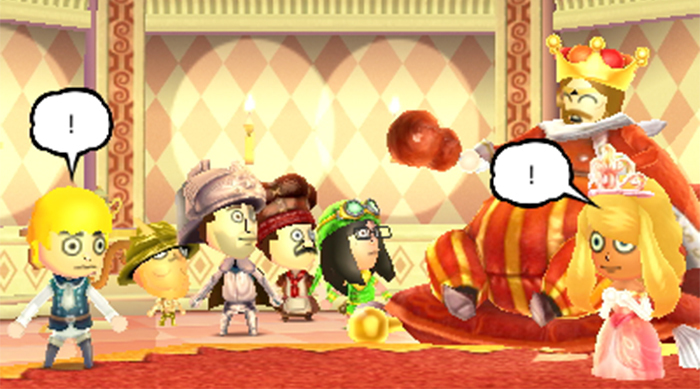 So when Nintendo sent me a download code for the new sequel, Style Savvy: Styling Star, I was excited to return to that world. The game begins with the player&apos;s character arriving in town to meet her weirdo uncle, who runs the town&apos;s failing fashion boutique. He&apos;s ditching town the next day, leaving you in charge of his shop. The town&apos;s women don&apos;t even know the boutique exists. It&apos;s up to you to fill it with cute clothes and build up its reputation as the most happening place in town, meanwhile cementing your own status as a fashion maven. Next door, there&apos;s a talent agency called Nin10 Productions. They represent models, actors and pop stars, and its president, Ethan, has aspirations to take over the world. Little does the player know, they&apos;re going to help him do so with the power of fashion. The gameplay in Styling Star is essentially the same as Fashion Forward. Once you&apos;ve designed your character, most of your time will be spent inside your boutique. Young women walk into the shop looking for something specific, and your job is to pick out the piece of clothing—or sometimes a full outfit—that suits their needs. Maybe they&apos;re simply looking to add something red to their wardrobe. Other times, they&apos;re looking for a jacket to complement their unique "rock" or "lively" or "basic" look. There are a number of unique "look" categories in the game, and each piece of clothing fits within them. These styles might not be evident to the untrained eye, but you soon learn to associate different clothing brands and aesthetics with each look. While you&apos;re learning, there&apos;s a built-in search feature that narrows your stock down to items that will make your customer happy. There challenge intensifies when they ask you to match their outfits, as you may need to learn the game&apos;s looks to understand what they&apos;re going for. Are the customer&apos;s clothes more "bold" or "rock"? Guess wrong, and they might leave the store without buying anything—but it&apos;s not like they&apos;ll never be back. Your inventory is limited at first, but with the money you make from your sales, you can buy more outfits at the Exhibition Hall. The goal is to have a variety of items, so that no matter who comes in or what they&apos;re looking for, you&apos;re well-stocked to meet their needs. 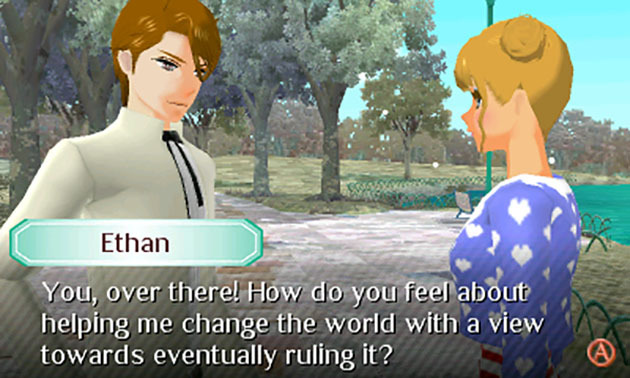 Later in the game, you can also create makeup and hair designs, design your own clothing and even style male characters, but the game shines most when it&apos;s about the women&apos;s fashion. 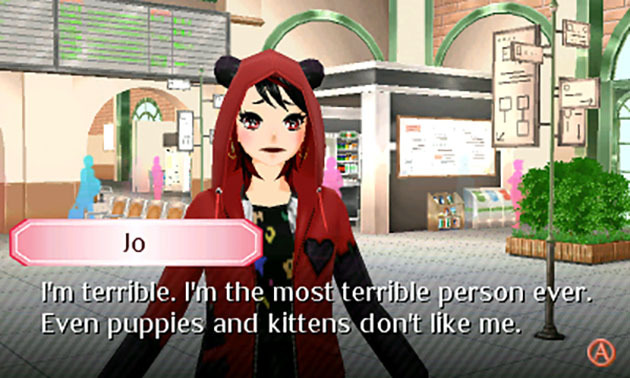 Honestly, the girls in Styling Star aren&apos;t hard to please, making the game breezy and pressure-free. If you&apos;re missing an item that someone wants, you can simply tell them to come back later and go buy what they need in the meantime. If you do the unthinkable and dress someone in an outfit they hate, sometimes the game will give you the option to use your smooth-talking skills to convince them they love it. Even if that fails, they&apos;re always willing to come back later. Without that challenge, what&apos;s the point? Oddly enough, it&apos;s a strange sense of satisfaction from making the characters happy. The characters are brimming with joy every time you help them, and if you&apos;re confident in producing an item they&apos;ll love, they&apos;ll even do a little runway walk with psychedelic color-scape backgrounds showing just how pleased they are. Weirdly, I felt this influencing my decisions beyond what the game was asking. I could make a girl&apos;s outfit as pricy as possible to maximize my profits, but I also feel compelled to dress women in outfits I don&apos;t despise. Even if they love them, I&apos;d feel guilty if they went around wearing absurd outfits and telling everyone I was a style genius. Sometimes, you&apos;re picking an outfit for a girl&apos;s date or job interview, and as time progresses you get to see her success story. She succeeds because of the outfit you picked for her. That&apos;s the feeling the game wants to recreate for the players again and again. This happens on an even bigger scale when you start dressing girls for Nin10 Productions. You create the aesthetic of future stars by designing their outfits and making their dreams come true. The ensembles you create for them even influence the music they end up singing. Speaking of music, this game features a lot of bubbly, upbeat pop songs. Were they written specifically for the game? I have no idea, but I was surprised by the quantity and quality of them. Even if they&apos;re not to your taste, it&apos;s tough to deny how catchy these tunes are. And it&apos;s your influence that makes their pop stardom possible in the first place. Style Savvy: Styling Star comes to life because of its characters. I wouldn&apos;t care to help them if they all appeared lifeless and alike, but each character has her own personality quirks. Their quippy little bio makes them feel even more like real individuals, even if it&apos;s only because of the stories you create for them in your head. I wound up growing really attached to the people I worked with. People I disliked at first eventually grew on me, and I loved seeing familiar friends return to my boutique again and again. It&apos;s a nice touch that the game remembers the outfits I picked for people so that they come back wearing your personal design. Over time, you may even see them transform their style completely by your influence. 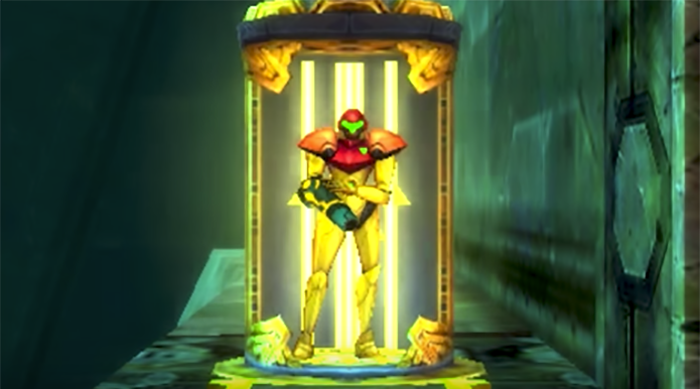 One minor gripe I have with the game is that the basic character models are so similar. Everyone appears to be around the same age, and even though the girls have different heights, they all wear exactly the same size of clothes and there isn&apos;t any variation in body shapes. Yes, that addition would make the game much more complicated, but it&apos;d also be more representative of the real world, and helping people of all shapes, sizes and ages feel good in their own skin would make the player feel good, too. 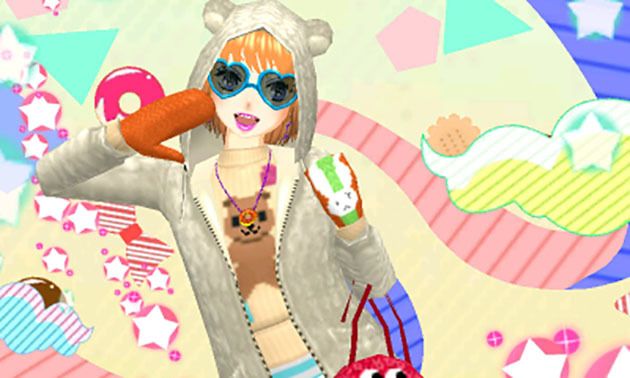 An interest in fashion isn&apos;t a requirement to enjoy Style Savvy: Styling Star. If you have even the smallest bit of people-pleaser in you, you&apos;ll wind up getting a lot out of the interactions in the game and making its fictional characters&apos; dreams come true. Maybe the most remarkable lesson in the game is that people feel as if their lives are transformed by the power of fashion. Maybe that&apos;s something I can take to heart—or maybe I&apos;ll just keep playing video games about it. 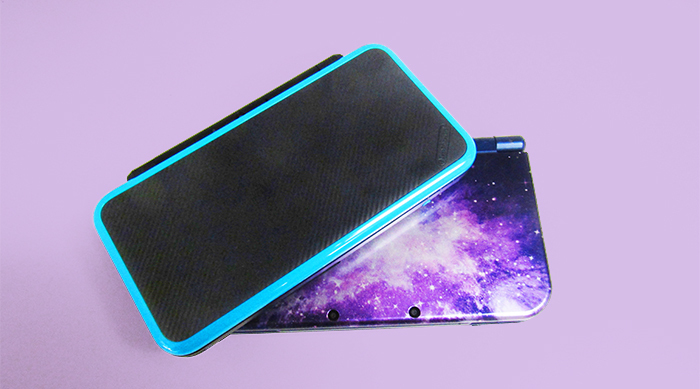 Style Savvy: Styling Star is available on the Nintendo 3DS for $39.99 in the eShop. 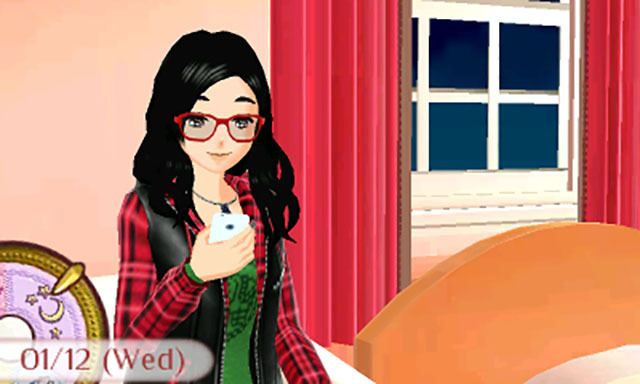 If this game seems right up your alley, click HERE to read our review of its successor, Style Savvy: Fashion Forward.